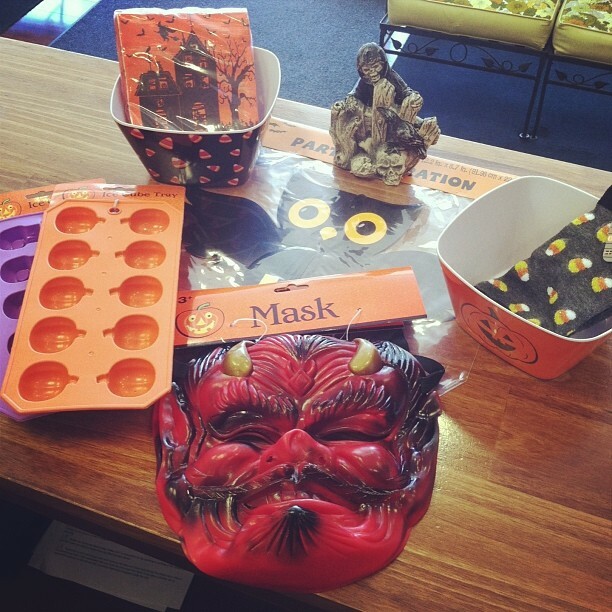 A sneak peak at some of my Halloween goodies. 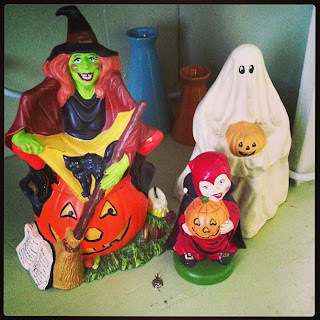 I like to keep Halloween/XMas decorations out year long. They are my two favorite holidays, and with everything being so creepy/cute, I cant help it. Plus, it's my house and I will do whatever I want. Some awesome paint your own figurines given to me by my friend Mary. She's the best, this just makes it even more evident. We have a Dollar Tree next to the shop and I am there probably 5-8 times a day buying drinks and other things. They finally have their Halloween goods out and I was pretty stoked. Check out the loot I got! Can't beat it.